With the Spring Equinox on March 20, 2019, it gets us thinking of spring and the warmer weather ahead including sunshine and being outdoors in our gardens. As an enthusiastic gardener, you may be thinking whether you can start with planting seeds at this time of year. If you want to start your plants from seeds and grow your own organic vegetables or herbs, starting seedlings now is a great idea. Indoors somewhere or in the garage would be some ideal locations for seedlings. Depending on how many seedlings you’ll be starting, either a workspace in the garage or multiple slatwall shelves will do the trick. This will keep the seedlings safely off the ground with a workbench or workspace to do transplanting as the seedlings take off and need to be transplanted into a large pot. There are a variety of seedlings which can be started in March so that they will be ready to plant in the garden by May. Here some seedlings which you might consider for the Southern Ontario climate in March. With this variety of vegetables, one or two of your favourites are probably among these options. If so, it’s time to investigate starting a seedling system in your garage. Seedlings need a lot of water as it grows. To grow seedlings, using paper containers is often the best way to grow seedlings. The containers will then biodegrade as the seedling needs to be transplanted into larger spaces. Use a clear plastic covering to keep the evaporation of water low and to speed the germination of your seedlings while providing some extra warmth. Seedlings seem to do best when they receive a lot of water. A couple of dry days and your seedling efforts will be for nothing. It’s best to water your seedlings from both above and below. The condensation on the plastic covering helps prevent the escape of moisture from above while the condensation on the plastic covering will return some of the moisture back to the seedlings. Keep water available in the tray below the containers so that the seedling containers can soak water into the soil from below the seeds and remain moist at all times. You can make your own containers using old newspaper which easily soak in water from below. These can be placed in plastic trays lined with a layer of water. Another alternative is to buy a reusable seedling system. 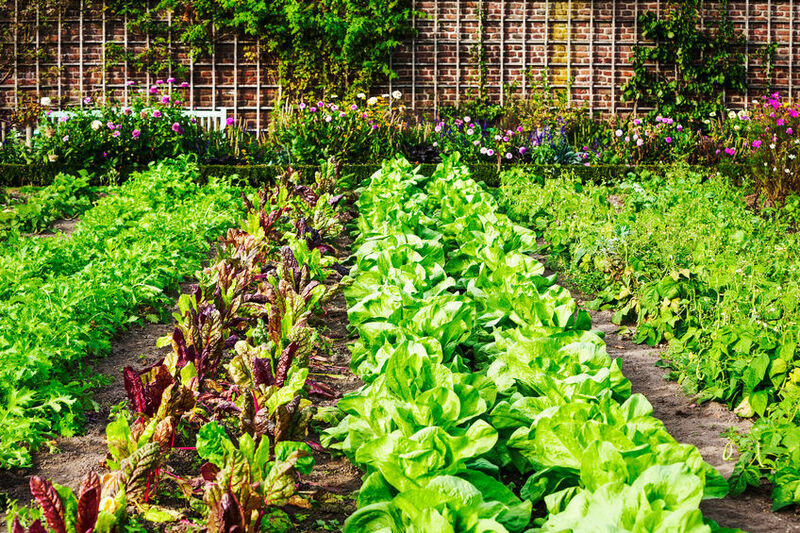 These systems often come with watering systems built-in to help make sure that the soil is constantly moist. And, it may come with clear covers so the seeds are kept warm and visible. They can be used year after year instead leaving containers which may need to be tossed due to cracking or breaking. Homemade liquid fertilizers are inexpensive and faster acting than some of the store bought fertilizer. Some of the things which can be used include fresh grass clippings steeped with equal amounts of water for 3 days. Seaweed can be used after it has been steeped for 3 days. And, urine with 20 parts of water can also be used as a liquid fertilizer. Seedlings will need a little of this diluted liquid fertilizer twice a week to start. As time goes on, they may only need some fertilizer once every 7 to 10 days. Once you’ve added the fertilizer, if the plant starts to darken its leaves and growth, you’ll know that your seedling needed the fertilizer. If you don’t see any change, try lengthening the time between fertilizer feedings. If you have a heated compost which reached 150 °F and killed off bacteria or a vermicompost with beneficial disease-fighting microbes at about 15% of the mix with soil, helps the germination process and has been shown in a study to do better than just soil alone. Seedlings are delicate so healthy soils and fertilizers with beneficial microbes will help them germinate into stronger plants before they get transplanted outdoors. As the seedlings break through the top of the soil, they will now need a lot of light and warmth. Standard fluorescent lights which are placed slightly above the seedlings would be ideal. 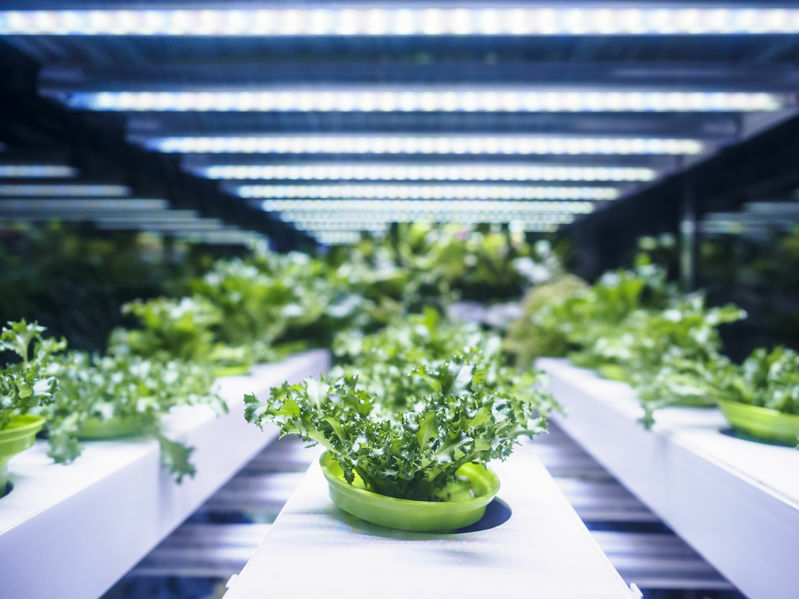 The slatwall shelving system would be ideal for both mounting the lights and adjusting the height of the lighting relative to the height of the new growth from the seeds. When the lights are just slightly above the height of the plant, there is enough warmth from the lighting to keep the seedlings warm. Using a timer, you can make sure that the plants receive 12 – 15 hours of light per day during these early days. Most seedlings could use a differential in temperature of 10°C between the day and the night. If the garage is still a bit on the cold side during the night, use some heavy clear plastic to create an insulating barrier around each shelf. As the seedlings start to grow in height, you’ll want to re-adjust the height of your shelves so they have more room to grow. The slatwall organization system and the shelving offers the flexibility to change the height between shelves quite quickly. The sturdy construction of the slatwall shelves and their mounting mechanisms allows it to hold even larger pots of heavy soil so as your seedling and soil requirements expand, your slatwall will be able to accommodate the growing weight demands of your growing garden. Use an electrical source which has been installed to building code standards to provide a power source for your fluorescent lighting. During a garage renovation, not only can storage and workspace be created but adequate electrical supply and water supply can be made available to suit the family’s interests in gardening or other creative tasks. Garage storage and workspace solutions are available to suit a wide range of family lifestyles, hobbies and past times. The various rigours of gardening systems are no different in their demand for a space that can accommodate the various needs of your new plants. In order to have a successful garden in the spring, timing is everything. Plants have various germination periods from 4 weeks to 11 or 12 weeks before they will be ready for the outdoor garden. And, the various climates from Southern Ontario to Northern Ontario will also affect the length and timing of these germination periods. If you know neighbours who are avid gardeners, they may be able to give you a hint regarding some of the plants that you may have in common. Join gardening clubs in the neighbourhood or online so you can ask questions and get valuable hints and tips about your favourite vegetable crop or perennials. Timing the growth of seedlings and assuring a good germination period for them before they go outside can have a significant impact on the bounty you’ll get to enjoy as they ripen or become ready to pick. Not only is the garage a great place to start your garden, but it makes it easy for you to get your saplings out to the yard for planting. With a polyaspartic garage floor, small spills and mishaps are not a big deal and any water spills can be easily mopped dry. 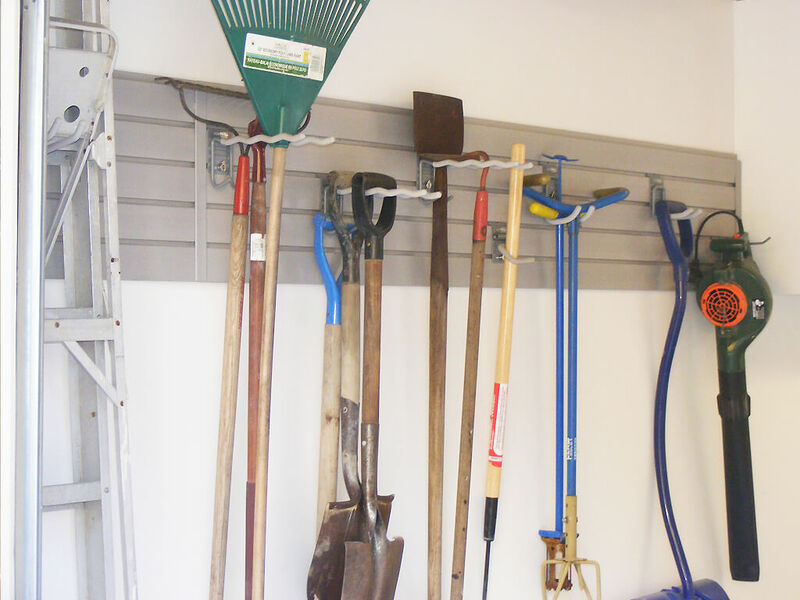 When spring finally arrives, you’ll be able to swap out seedling trays when they have been planted in the garden for slatwall space to hang garden tools and supplies which you’ll want to use regularly to tend to your garden throughout the growing season. 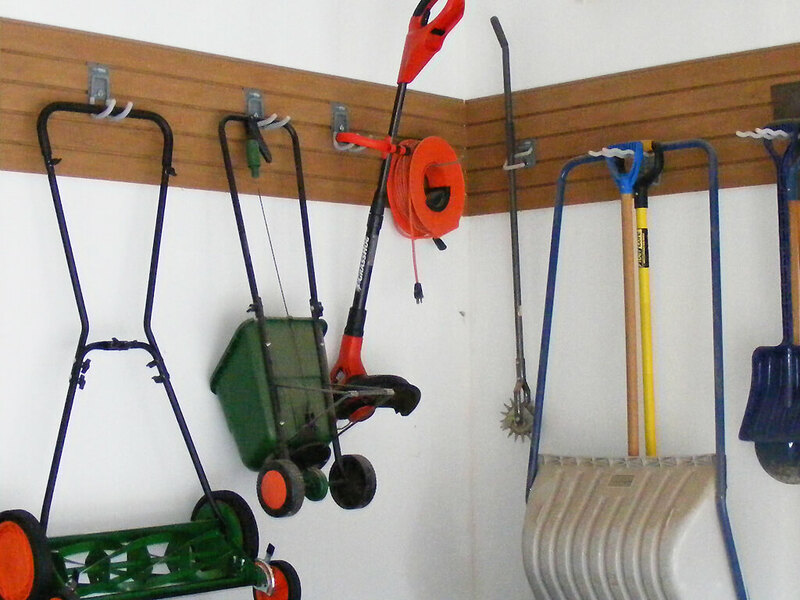 If your passion is the garden, we can help you make the most of your garage renovation to include work space as well garage storage space for your most valuable tools and growing systems. Start a complimentary in-home consultation with your garage renovation specialist to review your vision of how you need to use your garage and add value to the home. A garage renovation is a lot like a kitchen renovation. Just like a kitchen you will likely need some work spaces but you’ll also need a variety of different storage spaces. Many of us will want a place for those large green bins, blue bins and garbage bins so we can just wheel them out to the curb on pick up day. Also, we’ll have some essential tools that we’ll want to easily access. 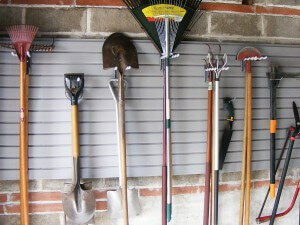 The tools may range from lawn mowers in the summer to snow shovels in the winter. And, we’ll likely see our garage as a place for the kids bikes and other toys such as scooters, skateboards and much more. For outdoor activities and travel, it’s also where we’ll store a Thule carrier, kayaks, canoes, camping gear, stand up paddle boards, snowboards, hockey gear and so much more. Of course, we may also store the Christmas tree, lights and other decorations of the season in the overhead spaces. And, the most obvious thing to do with our garage is to park the vehicles inside the garage. With time, sometimes we allow the clutter of things to take over our garage. Parking the vehicles inside the garage helps provide safety for our vehicles, a longer vehicle life away from the elements and reducing theft or vandalism. It’s important for most of us to be able to have the space for our vehicles as well as many of our lifestyle items for ourselves and our children in the garage. 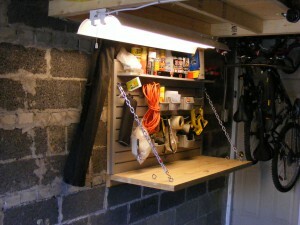 In addition to the initial consultation most people will need to de-clutter their garage before the project can start. You can begin the de-cluttering before you meet with the garage renovation specialist and even beyond or after the initial meeting. 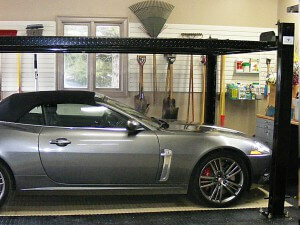 The goal of a garage renovation is to create a space which you actually use regularly. If you haven’t used something in a long time, consider if you’ll actually use it ever again. It can be some outdoor toys that the kids have outgrown or it could be a tool that you thought was a great idea at the time, but you’re really using something else instead. Of course, there are things such as snow shovels which may not see a lot of use some years but you’ll need at some point which you will need to keep. Items which are not used can be given to a neighbour or you can get a garage sale day going for your entire street so it becomes a community event with a lot of drawing power. If you get the whole family involved, it becomes a fun day and learning experience for the kids to understand running a small business project. Anything left after a garage sale can be donated. There are a variety of charities who are in need of lightly used items so if you have two of something in the garage because you purchased something twice, you may want to consider donating one if it doesn’t get purchased at the garage sale. Or, you can run a kijiji ad if it’s something you know that you can sell but just didn’t find a buyer on the day of the garage sale. There are some great learning experiences for the little ones to pay it forward and let go of things emotionally by de-cluttering. Then, learning life skills and business skills from doing all the activities of running a garage sale will grow their independence and confidence while creating an opportunity for the family to come together. After de-cluttering and a garage sale, whatever is left needs to be organized. Before the garage storage project begins, organize the items into piles for your garage renovation specialist to review and understand what you’ll need to store in the garage. Also, a discussion of your family lifestyle together will give an idea of what you’ll need your garage to be able to do. It’s much like a kitchen. The master cook may want a double oven while the busy family may want an oversized fridge for all the kids to find food. Our lifestyles will determine how the garage can be designed as much as determines what we may need in any other room of the house. By grouping items into piles, it will help you see and understand what has been dumped in the garage and the storage challenges these items have presented so far. You can consider each family member’s hobbies such as handyman activities, crafts activities, gardening activities and sports that each person plays. During the initial consultation, you’ll get an idea of what can be done. An in-depth discussion into the things your family would like to do or need to do will help define how you can get the most out of your garage space. Also, your organizational style will also be explored. For instance, if you would prefer a clean looking garage where everything is put in its place and hidden away behind doors, garage cabinets will make a lot of sense. If you prefer to see things so it will stay fresh in your mind that you own certain things, then an open style storage solution would be more appropriate for you and your family to find things easily. Once the project begins, you’ll want a garage renovation specialist who will keep you informed and prepared for the next phase of the project. Sometimes, this may be moving items into the backyard or basement during a specific phase of the project or having access to the full driveway for specific days of the week. 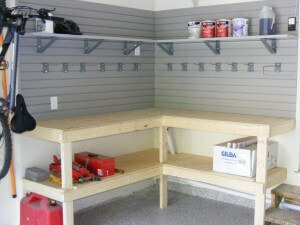 Project management skills are a key element of a good garage renovation specialist. They will guide you through each phase of the project instead of having these tasks become a surprise on the day they arrive to do work. If you’re looking to do a garage renovation this year, March or early April is the best time to start the consultation process so that the project can match your family’s schedule as well and the appropriate garage storage solutions can be made-to-measure and delivered in time for installation day. If you’re looking for both a good renovation experience as well as solution, contact us today to learn how we work to make this a reality for your family. As our families grow and change, we have growing needs for our home. We might start by just throwing a few things into the garage because we’ve run out of storage space in our basements. Next, we might organize the storage in our garage with a renovation so that everything has a place which is safe and secure from other items in our garage including vehicles which are parked inside the garage. With older children or parents / in-laws who might need to live with us, we might even start to think of the garage as more than just a storage space. 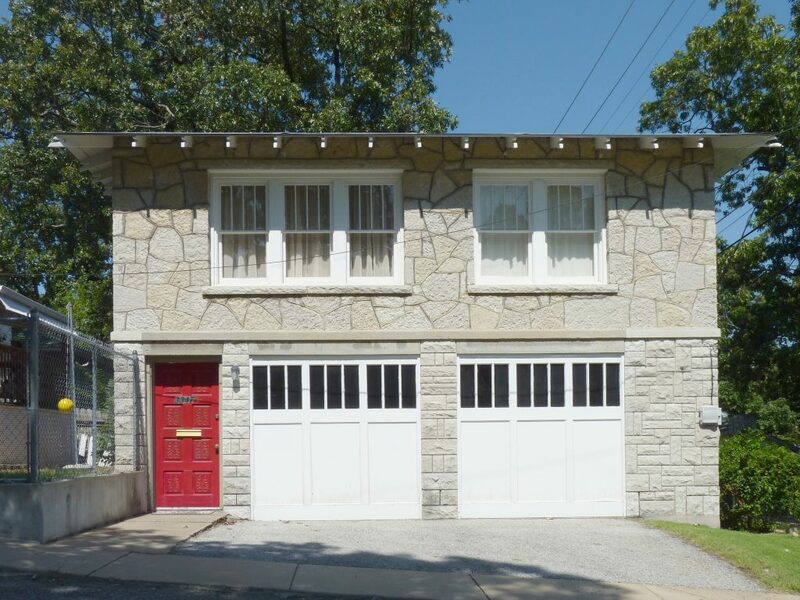 Is it a good idea to turn the garage into an additional room in the house? Can a Garage Be a Room for All Seasons? 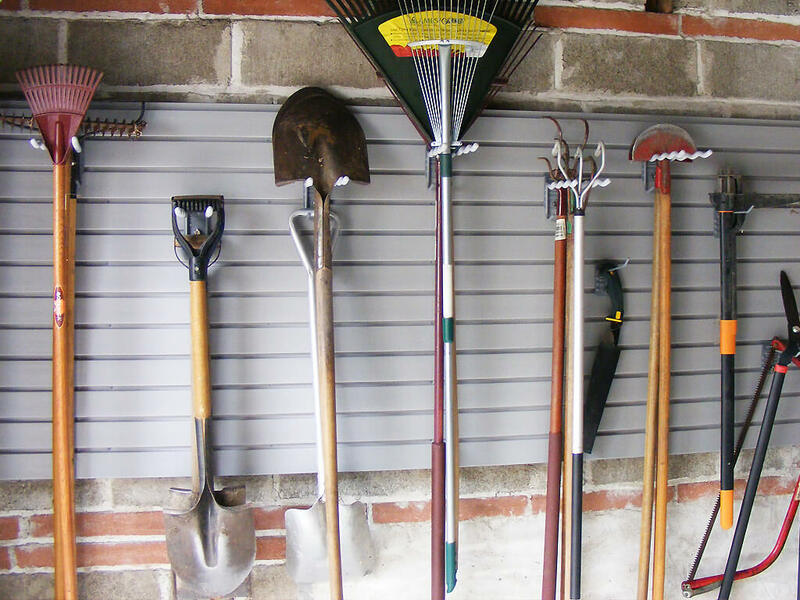 In the warmer months, the garage makes for a good place to do some gardening chores such as potting plants, preparing seedlings for the planting season and preparing bulbs for storage over the winter. Even when the weather is not quite ready for planting, it’s a great place for the gardener who is itching to get their hands into the soil to start tinkering around with the plants. For the handy person in the family, it’s a great place to do some of the creative and DIY projects around the home. In the heart of winter, the garage is still not the most pleasant place for most of us. Even with a space heater and insulation, it’s difficult to keep the garage warm enough to be a full time living space. A few people still manage to use the room for hobbies even on some of the colder days of the year. However, without a full renovation and conversion of the garage into a permanent room of the house, it is difficult for the garage to be a pleasant living space in the winter. If I Convert My Garage into a Room, will it Affect the Value of My Home? The floor plan of the conversion is very important. Open concept living spaces can affect the value of a home by 25% so to make the overall living concept flow through to the additional room which the garage will become may require some professional design. Renovating a detached garage into a guest room or in-law suite might be a great idea but you’ll need to be able to bring electricity,heating and plumbing into the detached garage if it’s not already available. As a finishing touch, a covered walkway between the detached living space and the main house as part of the living space plan would complete the vision and flow of the garage as a room of the house. 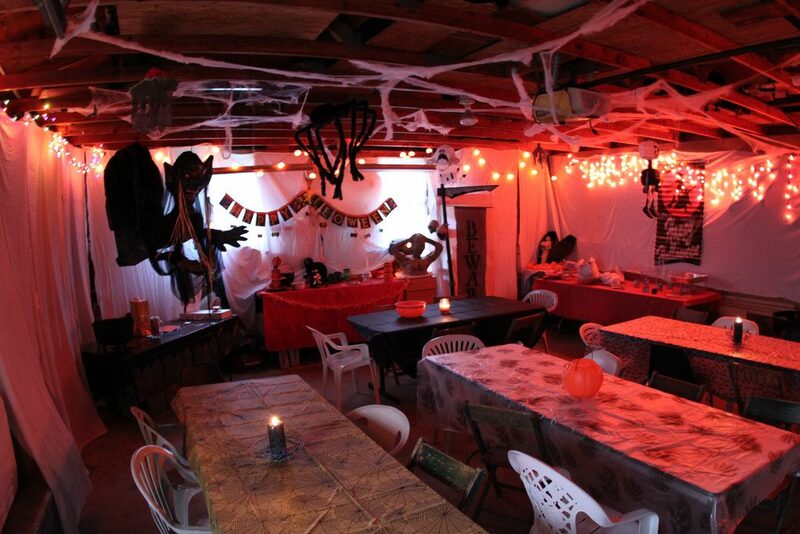 Of course, anything you do to convert the garage into a living space will need to meet codes. For instance, ceiling heights need to be able to be at least 7.5 feet tall. In addition, a renovation which will meet building codes is essential. The new room will need additional electrical outlets, insulation and drywall as well as vents to extend the heating and cooling into the additional space so that room temperature can easily be maintained. Typical windows found in a garage are usually sub par to the ones we find in the living spaces of the house so new windows, skylights and other sources of natural light to make the space enjoyable while protecting the space from drafts, cold and heat. By converting a garage into a permanent living space which meets the building codes of the other rooms of the house, it leaves the home without a space to park vehicles. Firstly, this may affect your home’s value. It may be alright in an area where there is plenty of parking on the streets or in the driveway. However, many home people are looking for garages so it can cause some home buyers to overlook your home when it comes time to sell it. Remember not to overlook the fact that parking a vehicle inside a garage has many benefits. Firstly, it protects the vehicle from the weather which reduces the wear and tear of fluctuating weather and prolong the life of the vehicle while reducing maintenance and repairs. In the winter, it’s a lot easier on the vehicle to be started from the warmer garage area than the freezing outdoor temperatures and in the morning, there’s no need to brush off snow or scrape ice which makes the morning easier for people who need to drive to work. Also, parking a vehicle inside the garage reduces the chances of theft or vandalism of the vehicle by making it more difficult for someone to break into the vehicle and drive off unnoticed. When you do have a driveway, you’ll want snow removal equipment or possibly salt for the sidewalk in front. 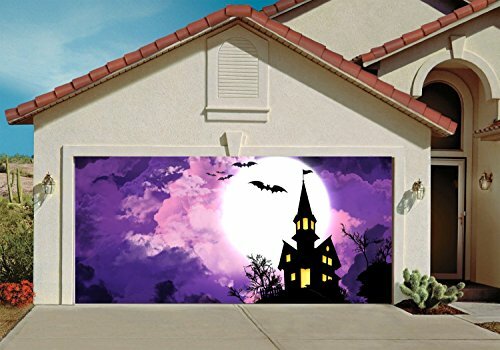 Along with these essentials to maintain your home’s driveways and walkways, the garage has become an essential space for storing decorations, garden tools, sports equipment and vehicle accessories such as antifreeze, windshield wipers, tires and vehicle racks. Turning the garage into an additional room means losing a large amount of storage space for the family’s many belongings. If it’s absolutely essential to get more living space,converting the garage might be a good idea. For most people, a good garage renovation will help most families get much more out of the garage space so that it’s a more pleasant space with a lot of organized garage storage opportunities. If you’re looking for more storage, contact a garage renovation specialist. If you’re looking for an additional room for your home, you’ll want to contact an interior designer who can help you get the most out of your space as well as your real estate investment. The Winter Solstice marks the day with the shortest amount of daylight and the longest night of the year on December 21st. After the Winter Solstice, the days get longer and the nights get shorter. People from around the world recognize and celebrate this day with light and fire. Sounds a lot like what we do for Christmas and how we decorate our homes and garages with lights and lit ornaments. Many people from around the world celebrate the mid-winter time of year whether from the Northern or Southern Hemisphere. The focus of the Soyal ceremony celebrated by the Zuni and Hopi Indians is meant to bring back the sun after the long dark winter. A prayer stick called the Paphos is used to bless the community including homes, animals and plants. 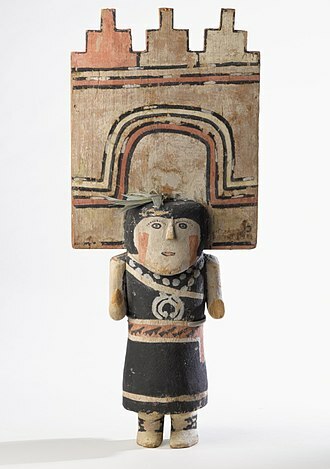 The ceremonies represent purification with dancing and gift giving including Kachina dolls representing the spirits of the caves within the mountains. The Yalda Night is a celebration of December 21st by the Persians marked by family gatherings where people eat, drink and read poetry. Fruits and nuts are savoured especially red ones such as pomegranate and watermelon because the colour symbolizes the light of dawn and the glow of life. The Yalda Night represents the longest night and the initial night representing the forty days of the three month winter after this night. The Inti Raymi is a celebration of Peru’s Midwinter which begins June 21st and gets celebrated on June 24th because the Inca believed that the sun stayed in the same place for 4 days. Peru is in the Southern Hemisphere where winter is the opposite season from our celebrations here so instead of a December celebration of Winter Solstice, they have their midwinter in June. The Sun God was revered by the Incas which is where the celebration originated and today, the Peruvians continue its tradition. The Saturnalia is an ancient Roman Celebration which is most closely linked to our modern day Christmas celebrations. 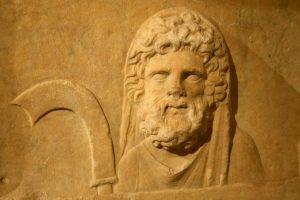 Saturnalia was initially celebrated on December 17, 2017 but then extended to seven days ending on December 24, 2017. It was liveliest celebration of the year where people filled the streets with Mardi Gras-like celebrations while all work and business is suspended. Also, social norms and moral restrictions are lifted. There was gift giving to children and the poor. Especially, gifts of light or “phos” such as candles were commonly given. Then, on Roman New Years (January 1st), people decorated their homes with lights and greenery. It’s easy to see how these traditions are closely linked to how we celebrate Christmas today. When we’re celebrating long days here in the Northern Hemisphere, the researchers who inhabit the Antartica are living through long dark periods. They celebrate with special meals, films and even handmade gifts. St. Lucia’s Day is celebrated in Sweden, Norway and parts of Finland on December 13th honouring St. Lucia who brought food to poor Christians. The day marks the beginning of Christmas. It is a celebration to bring light and hope to the last dark days of winter. Food is shared and served. In earlier times, the Norse celebrated the winter solstice with large bonfires to ward away evil spirits and to alter the path of the sun. St. Lucia was incorporated after the Scandinavians converted to Christianity around the year 1000. This is translated as “the extreme of winter” where the nights are longest around December 22nd. It is to celebrate the return of longer days, more light and therefore, greater positive energy as part of the yin yang of dark and light. As part of the festivities, families gather together to have a lavish meal especially to nourish the body and soul to prevent frostbite and other ailments of the cold winter. Foods such as Tang Yuan or rice balls and dumplings filled with lamb or other meats are eaten. Each year, Kensington Market in Toronto has a Winter Solstice celebration. Every year, there is an exceptional show of Fire Breathers, spinners and other performers lighting the night sky. Handmade lanterns, giant puppets, stilted dancers and eclectic music are all part of a lively night of cheer and festivities to bring in the start of longer days and more light. In our own neighbourhoods, we can host our own special celebration by running our Christmas lights and playing festive music. Open up the garage for neighbours to gather and enjoy a hot cider or hot chocolate. 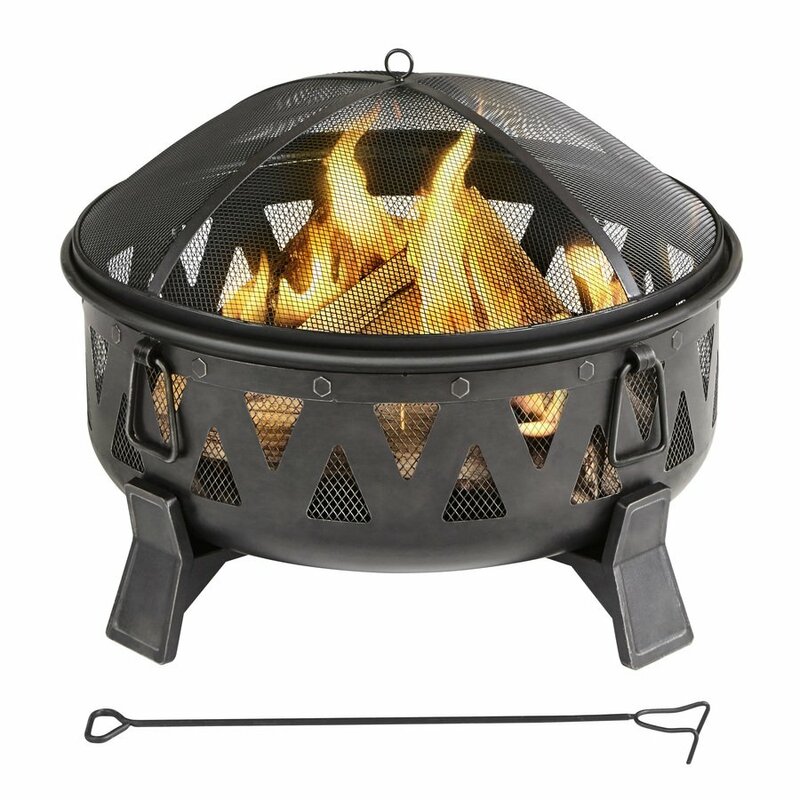 Have a small adobe or enclosed fire pit out front on the driveway or front lawn so people can warm themselves around a source of light traditionally used to celebrate the Winter Solstice. And, if your garage is not organized enough to host a small neighbourhood gathering, our garage renovation specialists are always here to help you make the upcoming year’s festivities a reality. This year, the temperatures and the weather has been a little unpredictable. And, while the Farmer’s Almanac is predicting a mild winter in Canada, it still remains to be seen if we’ll see this type of winter. Either way, it’s always a good idea to get the car prepared to remain reliable regardless of what we experience during the upcoming months. Let’s start by looking at the garage renovation or lack thereof. When preparing your vehicle for winter, one of the top things you can do is ensure that it gets parked inside your garage. Not only are vehicles which are parked inside the garage safer from theft and vandalism but they are protected from the elements. Vehicles which are parked inside the garage start easier in the morning because it’s always a few degrees warmer inside the garage than outside on a cold winter morning. When the vehicle starts warmer, we keep the components of our vehicles in better working condition. It’s also why we take our time to warm up the vehicle before we start driving the vehicle. We won’t face frozen door locks. The elements don’t wear down the vehicle’s coating or paint. Stray baseballs from neighbourhood kids playing on the streets don’t find their way to dinging the vehicle in some way and so much more. However, you may be looking at your garage and wondering how you might be able to accomplish parking one vehicle inside much less two vehicles. Or, you might already be able to park one vehicle inside but not the second vehicle. In this case, it’s important to get a properly designed garage storage system to maximize wall storage and overhead storage options while getting your belongings off the garage floor. Start by de-cluttering so that you can reach your end goal of having the vehicles parked inside where they belong. To ensure your vehicle works every morning this winter, check the battery and the electrical system to ensure your vehicle will start every time. In addition, stock some gas line anti-freeze which assures a free flow of gasoline to the engine which will also ensure your vehicle starts on a very cold wet day. When it comes to fluids in your car, top up or change out fluids to ensure they provide maximum efficiency whether it’s your transmission fluid, brake fluid, windshield anti-freeze or an engine oil change. And, if you park your car outdoors during the day, lubricate your door locks before the cold weather sets in and carry some lock de-icer. Check your windshield wipers and change them out for heavier duty wiper blades which can handle the heavier slushy precipitation which typically lands on the windshield during fall, winter and early spring. Ensure the tires are appropriately inflated for the best tire performance and decreased stopping distances during treacherous weather. Of course, it’s best to ensure that the proper tires are on the vehicle for cold weather. Cold temperatures are considered 7°C or below. If you’re unsure of the correct tire pressure to inflate tires, either follow your manufacturer’s recommendations or consider these environmental factors when checking the PSI of the tires. If you don’t have an emergency kit for your car or the supplies are running low, it never hurts to review your emergency kit to make sure it’s complete and everything is in good working order. Non-perishable food and water for hunger. At home, the best way to avoid most of the challenges of cold or poor weather is to get the vehicles parked inside the garage. 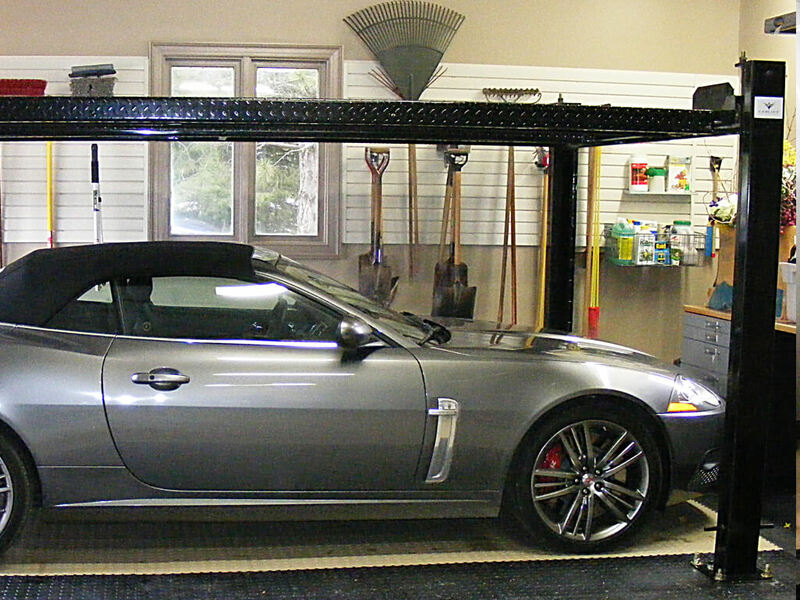 Call a garage renovation specialist to create a garage organization system where your vehicle will have the space to park inside the garage this winter. During the warmer months, it’s a great time to look at recycle, compost and garbage. We’re out in the garden more and we’ve needed to mow the lawn more often so we have a lot more garden wastes. Also, we’ve been cooking outdoors in the backyard more often. The number of rodents or more specifically racoons who want to have at our garbage has become common issue which is not going away or is being replaced by new racoon families when one racoon family is relocated. Or, in many cases, the original family makes their way back to the neighbourhood. Let’s take a look at some garage renovation solutions which can help you keep the waste down, the rodents out and divert more towards composting. To do this, we’ll need to manage the recycle, the compost as well as garbage whether in the garage or the backyard. Repair and reuse items instead of just throwing them away. Donate slightly used items for a good cause. 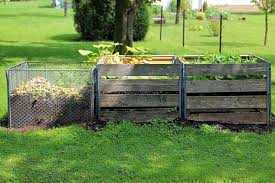 Compost food and yard waste to keep the lawn lush and green. Typically, up to half of the waste around our homes is compostable so a composter in the backyard is an ideal way of handling organics. Otherwise, taking full advantage of the green bin organic recycling program in your city or town is the best way to look after organic products. matter of planning out a space for them whether it is shelves, a space under a platform or cabinets to hide them from sight. Often, a spot planned close to the door from the house to the garage is ideal for convenience and ease of access. Here are a few examples of garage interior designs of blue bin, green bin and waste storage. 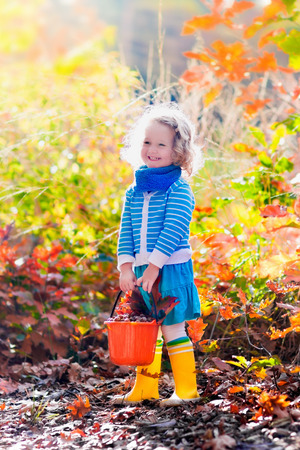 Getting the kids into a vermicomposting project can be an educational and fun project. 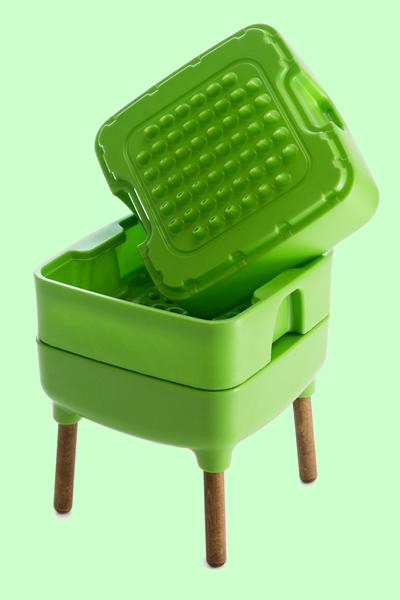 These types of composters can be placed in the garage where it is closest to the house and easy to dispose of food waste. Of course, plan a spot for hazardous waste which is out of reach of young children. Before you’re able to get to the depot with your hazardous waste items, a temporary storage area which is high and / or hidden away from little hands is an important priority for the family. When looking at your garage renovation and the things you need to store inside your garage, sometimes, it’s necessary to move recycle and compost bins to the backyard. Storage bins can keep the yard looking neat and organized while keeping the critters out of bins and making a mess. Because garages tend to stay cooler, garbage bins work best in the garage as opposed to out in the backyard under the sun during summer. Prioritize recycled and compost materials to be stored outdoors in the backyard. Even worm composters work better indoors where it is slightly warmer in winter and easier to maintain a steady environment for the worms to do their job. 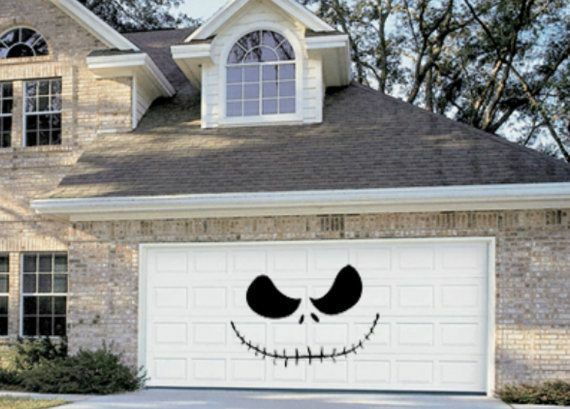 When you’re considering your next garage renovation, keep composting, recycle and even hazardous waste in mind. It’s important to plan a space for these items for safety and for successful strategies to reduce waste going to landfills. 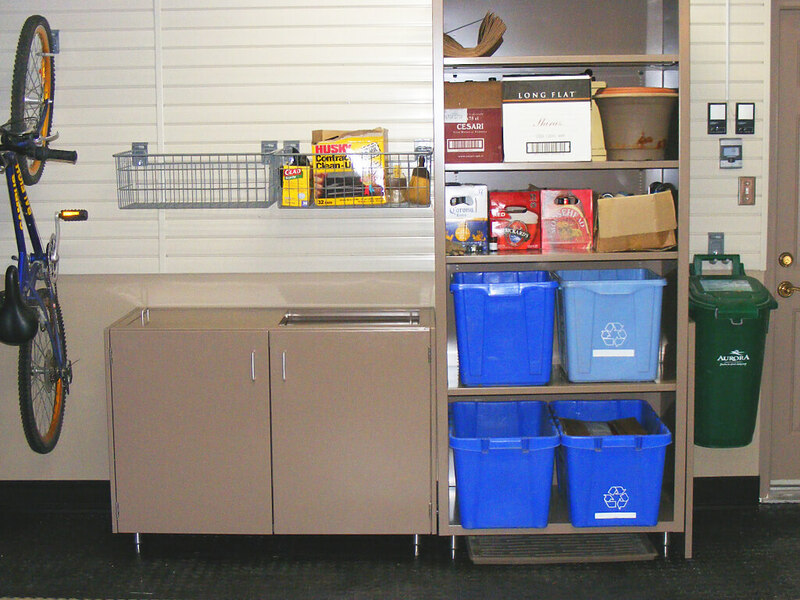 Get a complimentary consultation from our garage renovation specialists to manage waste bins as well as other garage storage challenges of items around the home.